The proliferation of connected devices, new video offerings and dramatic changes in traffic patterns are exhausting the capabilities of traditional approaches to service delivery. Profitability for service providers hinges on their ability to monetize new services and optimize the use of their infrastructure by increasing performance and reducing costs. Advanced application delivery will require infrastructure that can simplify and automate key operations and bring greater application awareness throughout the network enabling on-demand responses to application requests and increased service velocity. The properties of the system will be discussed and we'll further investigate implementation options. A set of applications will be examined in regards to their needs for on-boarding and to their performance characteristics. As Development CTO and Chief Architect at Cisco Systems, David is responsible for defining strategy and leading research and development of new innovation via tight partnerships with customers and academia. He is known in the industry because of his knowledge and expertise in IP/MPLS routing, high availability, network design, and systems software. He is the Routing Area Director at the IETF and chair of four Working Groups: IS-IS, HIP, BFD and Softwires. Also, he is leading the work on defining a transport profile for MPLS at the ITU-T. He speaks frequently at the North American Network Operators’ Group (NANOG), IETF, IEEE and RIPE conferences and collaborates with several university and private research groups, including Stanford, MIT, Cambridge and Tsinghua University. David held the roles of software architect for IOS-XR; co-system architect of the CRS-1 multi-terabit router & ASR9000; and co-system architect of several next generation routers, line cards, route processors and service blades for multiple routing products in Cisco’s Service Provider portfolio. David served as CTO of the Platform Systems Division in Juniper Networks, responsible for the switches, routers and data center products in the portfolio as well as the Operating System (Junos) and ASICs. David was also a Juniper Fellow and Chief Architect working on the operating system and next generation routing systems. David has a small vineyard in the Santa Cruz Mountains and an heirloom tomato farm along the St. Croix River in Somerset, Wisconsin. Resource poverty is a fundamental constraint that severely limits the class of applications that can be run on mobile devices. This constraint is not just a temporary limitation of current technology, but is intrinsic to mobility. In this talk I will put forth a vision of mobile computing that breaks free of this fundamental constraint. In this vision, mobile users seamlessly utilize nearby computers to obtain the resource benefits of cloud computing without incurring WAN delays and jitter. Rather than relying on a distant “cloud,” a mobile user connects to a “cloudlet”, a micro datacenter on nearby infrastructure and uses it. Crisp interactive response for immersive applications that augment human cognition is then much easier to achieve because of the proximity of the cloudlet. While much remains to be done, the concepts and ideas introduced here open the door to a new world of mobile computing in which seamless cognitive assistance of users occurs in diverse ways at any time and place. Network virtualization is emerging as one of the most significant transformations in networking. Network virtualization does for networking what server virtualization did for computing: it decouples the services provided by a virtual network from the underlying physical hardware. A virtual network is analogous to a virtual machine, in that it faithfully reproduces the capabilities of a physical network, but does so entirely in software. And just as server virtualization changed the operational model of data centers by allowing server provisioning to be automated with software tools, network virtualization is greatly simplifying the operations of data center networks. A virtual network can be provisioned automatically in software in a matter of seconds. Network configurations can be tailored to the needs of applications with the result that new applications can be rolled out much more quickly than before. Also, by decoupling the network services from the underlying hardware, it becomes possible to deploy simple, efficient layer-3 switching in the data center. This talk will explain how network virtualization is being implemented in some of the largest data centers today, and discuss the benefits that are being realized by the operators of those data centers. Bruce Davie is a Principal Engineer in the Networking and Security BU. He joined VMware as part of the Nicira acquisition, and focuses on network virtualization. He has over 20 years of networking industry experience, and was a Cisco Fellow prior to joining Nicira. At Cisco, he worked closely with leading service providers to enhance the capabilities of their networks. He led the team that developed multi-protocol label switching (MPLS) and contributed to the standards on IP quality of service. He has written over a dozen Internet RFCs and several networking textbooks. Bruce received his Ph. 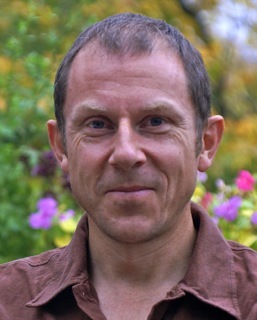 D. in computer science from the University of Edinburgh in 1988 and is an ACM Fellow. 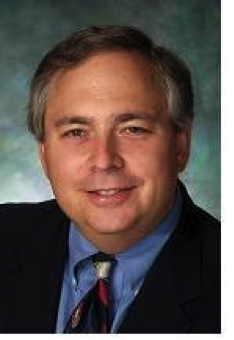 Steve Diamond is General Manager of the Industry Standards Office and Global Standards Officer at EMC Corporation. Previously he was Director of Product Management for Cloud Computing at Cisco Systems, where he focused on Intercloud computing strategy, architecture, and standards. Before that, Steve was Vice President of Marketing at Equator Technologies, a broadband signal-processor semiconductor startup; Vice President of Business Development at Tycho Networks, a telecommunications startup; Senior Director of Strategic Planning and Market Development at National Semiconductor; Director of SPARC Marketing at Sun Microsystems; Director of Microprocessor Architecture and Applications Engineering at National Semiconductor; General manager of the Honeywell/Synertek microprocessor division; and Research Associate in biomedical signal processing at the University of California San Francisco Langley Porter Neuropsychiatric Institute. He has authored more than 20 technical publications on signal processing, expert systems, computer graphics, and memory and microprocessor technology. Steve Diamond was the 2003 President of the IEEE Computer Society and a member of the IEEE Board of Directors in 2009-10 and 2005-06. He currently serves as the Chair of the IEEE Cloud Computing Initiative, Chair of the IEEE Strategic Planning Ad Hoc Committee, and Immediate Past Chair of the IEEE Marketing & Sales Committee. Steve has 30 years of management, marketing, and engineering experience in semiconductors, systems, standards, and software. Steve received the IEEE Third Millennium Medal and the Computer Society Golden Core Award. 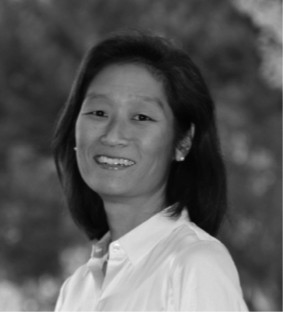 Prior to joining Juniper through the acquisition of Contrail Systems, Jennifer was a member of the founding team and VP, Marketing at Contrail Systems, where she led the product management and marketing activities. Jennifer was Senior Director of Product Marketing at Cisco, where she led the Product Management and Technical Marketing teams for Cisco’s Connected Energy Networks, Wireless Networking and Mobility Services, and Enterprise Routing BUs. She has led numerous partner ecosystems to drive market adoption of wireless/mobility services, smart sensor networks and application services. Prior to Cisco, Jennifer led teams in technical, operations and strategic marketing roles at Intel and Silicon Valley startups. Jennifer earned a BSE from Princeton University and an MSE from Stanford University. She lives in Los Altos Hills, CA and enjoys being outdoors with her three young sons. Amol Mahajani has served as HP Networking’s Vice President of Engineering for Software-Defined Networking (SDN), since February 2013. He is leading the development of HP’s SDN controller platform, HP’s Cloud Network Virtualization solution, and SDN value-added applications Amol brings over 20 years of engineering leadership and entrepreneurial experience in developing award-winning networking and security products for enterprise and service provider market segments. 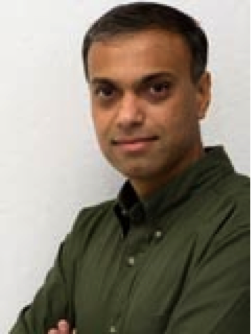 Prior to joining HP, Amol was Vice President of Engineering at Infineta Systems, a Data Center WAN Optimization products company, and Co-Founder and Vice President of Software Development at Nevis Networks, a network security products company. 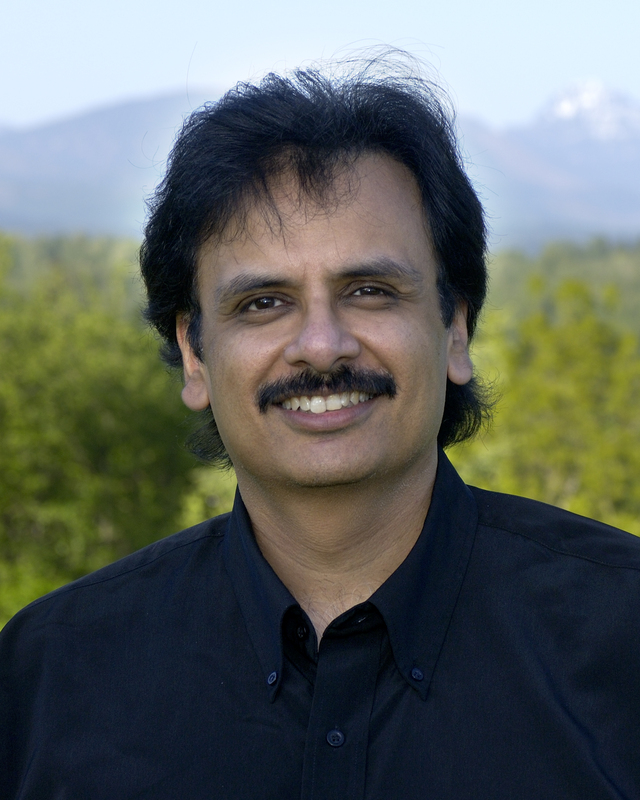 Previously, Amol was Co-founder and Vice President of Technology at iManage and has held various engineering leadership positions at Cisco and Novell. Amol graduated with a B.Tech. in Computer Science & Engineering from Indian Institute of Technology, Bombay. Masum Z. Hasan is currently a Technical Director at Cisco Systems, San Jose, USA, where he has been working in a number of areas, including Network Software Architecture, Cloud Computing, Virtualization, High-performance Computing, Network Management and Healthcare Computing and Networking. Masum has been at Cisco since November 1999. Masum’s prior job experiences include Principal Investigator at the Bell Labs, USA, Research Scientist at the University of Toronto, Canada, and software developer at a number of software companies in Bangladesh, Canada. 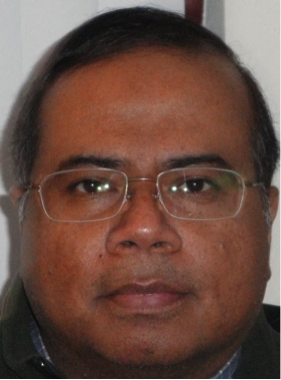 Masum obtained his MMath and PhD in Computer Science from University of Waterloo, Canada and combined BEng-MEng in Computer Engineering from Odessa National Polytechnic University in Ukraine. Masum is on the organizing and technical program committees of a number of IEEE/IFIP International Conferences and serves on the editorial board of a number of journals and scientific/technical magazines.